Mad Science of Minnesota is a franchise of The Mad Science Group. Our programs are created by a team of professional scientists and teachers at our head office, in Montreal, QC. Millions of children in over 160 locations, in 22 countries have enjoyed our programs. Mad Science of Minnesota has been running camps in this area for over 15 years. The child to instructor ratio varies depending on enrollment and age of the students. We have at least one instructor for up to 20 students. Most camps are designed for children entering first grade to sixth grade in the fall. See each camp description for age/ grade level. Please call (651) 793-5721 for recommendations if you have questions. Yes, different aged elementary children could be in the same camp. See the camp description page for the recommended age/ grade levels for each camp. Our low child to instructor ratio ensures that there is always plenty of help. Please see the online registration form or call us to see which camps are divided by age. Mad Science instructors tend to be college students pursuing an education or science degree, former/retired teachers, teachers on summer break or Mad Science After School Program staff. All Mad Science instructors have experience working with groups of elementary-aged children and have undergone background checks. They also receive summer-camp specific training. The main characteristic of our instructors is that they all share a love of working with children and the desire to spark and nurture their campers’ imaginations! If you know someone who would make a great Mad Science instructor, please invite them to apply HERE. Mad Science does not as our camps are half day camps. If your child is attending a partner-hosted camp, such as your local school district's Community Education department or Park and Rec department, please contact them directly to find out what is available. Registration is typically handled by our partner locations. Select camp registration is handled through our online registration system. Many camps and dates fill very quickly. We recommend that you register as soon as possible, because space availability depends on how quickly everyone else signs up! Registration is generally available by February each year. For Mad Science hosted camps (i.e. our online registration system), cancellations are accepted up to the week before camp starts. Each of our partner-hosted camps (such as the school districts, community eds, parks & rec., etc.) have their own refund policy posted on their websites. Yes, in fact, we encourage it. Each camp is unique so your child can enjoy them all. Many children sign up for multiple camps. The camps with the same names are the same as the ones that have been offered in prior summers. We have had a lot of children take a particular camp again and still enjoy it the second time. Yes. Mad Science and our partner locations reserve the right to cancel any camp that does not meet the minimum enrollment of 10 campers. Minimum enrollment must generally be met at least one week prior to the camp start date. If one of our camp partners cancels a Mad Science Camp due to low enrollment, you will be contacted and issued a refund. Children should dress comfortably and come ready to have fun! Send your child to camp with shoes that will remain securely on their feet (no flip-flops please). We will be spending the majority of our day in the classroom, but the kids might go outside for some camp activities. If your child needs to be sun-screened, please apply it before arriving at camp. Mad Science will provide all supplies needed for camp activities. Parents are responsible to provide a snack and water for children to eat during snack break (no peanut based foods please). To assist the camp instructor with knowledge of specific considerations for your camper, please fill out the "medical information" section when registering. Maybe not. 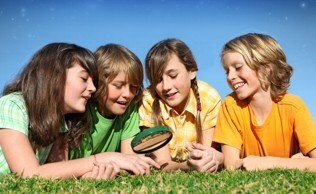 We are in discussion with many locations to provide our Mad Science camps. Please look at our website on a regular basis as we will be updating our schedule as soon as additional locations are added. Also, if you would like to see a Mad Science camp at a location near you, please mail mail@madsciencemn.org with their contact information and we will contact them with your request. 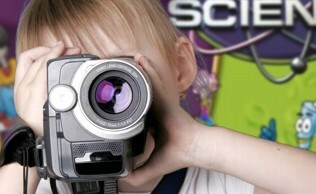 What is the cost to attend Mad Science Summer Camp? Each partner location determines the per camper price for the Mad Science camp depending on the registration option offered at their site (i.e. Before and After Care) and additional activities that may be offered as part of the camp day. Please contact our partner locations for specific camp prices. Mad Science provides everything else! Please email mail@madsciencemn.org for details.